A stressful period is virtually guaranteed when a parent or other close relative looks like requiring long-term residential care. Often this is when the family is also mourning the death of the partner who had cared for the loved-one at home. 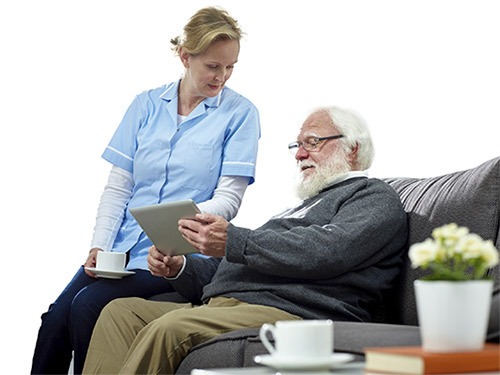 There are many practical and financial things to sort out as well as finding a suitable care home with a vacancy. Whether or not responsibility for the relative’s financial and medical welfare has been confirmed in a Lasting Power of Attorney (LPA), you may be the one to make decisions and implement them. Tactfully ensuring that elderly family members’ financial affairs are in good shape, with up-to-date valid wills and LPAs in place, is a sensible forward plan. The financial aspects of paying for long-term care can be complex, not helped by a 2015 government decision to postpone (from 2016 to 2020) introducing a lifetime care costs cap and much higher assets threshold. Meanwhile, depending where you are in the UK, state help with care fees is available only if assets are around £20-25,000 or less. Some local authorities may help self-funding residents with care fees through a secured loan and the NHS sometimes assists with nursing care costs. Otherwise, a specialist care fees annuity can be a useful way to cover future fees, but it is vital to take advice on all long-term care funding options to find the best solution for your loved-one’s needs. This article is intended to provide a general appreciation of the topic and it is not advice. For more information please contact Courtney Havers LLP on 01892 544233 or email advice@courtneyhavers.co.uk and we will be happy to assist you.